Nevada, molecular biologist Dr Bill Andrews PhD could hardly believe his eyes. But the evidence was incontrovertible. The test results had been checked over and over again. He was looking at a molecule that possessed the power to turn back the human biological clock. “Ant-Aging Breakthrough” is the true story behind the scientific search for a cure for aging – and all the debilitating diseases that go with it. The story of how Dr Andrews- The Man Who Would Stop Time – and his team of scientists spent years and more than $30 million testing hundreds of thousands of compounds to find a tiny substance that could unlock the answers to mankind’s greatest question. Of how, using Nobel Prize winning research, Dr Andrews finally uncovered a ‘miracle molecule’ until then unknown to science. And how that molecule – known as TAM 818 – proved to be the most powerful anti-aging compound so far discovered. But how could that remarkable discovery be used? The answer to that came from the other side of the world, in New Zealand, where an enterprising skin serum formulator found a way to incorporate TAM-818 into a new anti-aging solution. 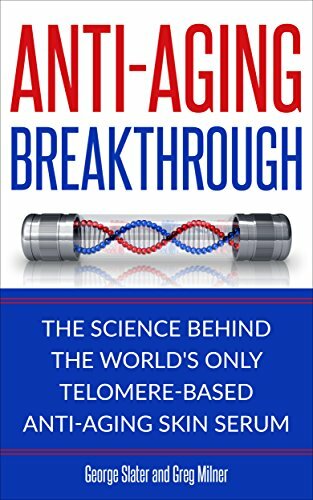 “Anti-Aging Breakthough” tells the story of how science and entrepreneurship came together to create the most powerful anti-aging product in the world. One Truth 818 – now available from www.onetruth818.com.au – is just the beginning. The search for a cure for aging continues, with Dr Andrews and his scientific colleagues all over the world working continuously on even more advances. The science behind One Truth 818 is proven; the shortening of telomeres, the ‘caps’ on the end of our DNA chromosomes – is the key to why we age. In simple terms, if telomeres can be prevented from shortening as cells divide, we’re a major step closer to stopping the aging process. And if telomeres can actually be lengthened, it could be the answer to actually reversing aging. The skin serum created through the US/New Zealand partnership is the only such serum in the world to contain Dr Andrews’ famous molecule. Extensive clinical trials on scores of volunteers in Europe and New Zealand produced anti-wrinkle results that astounded even the scientists who conducted the testing.